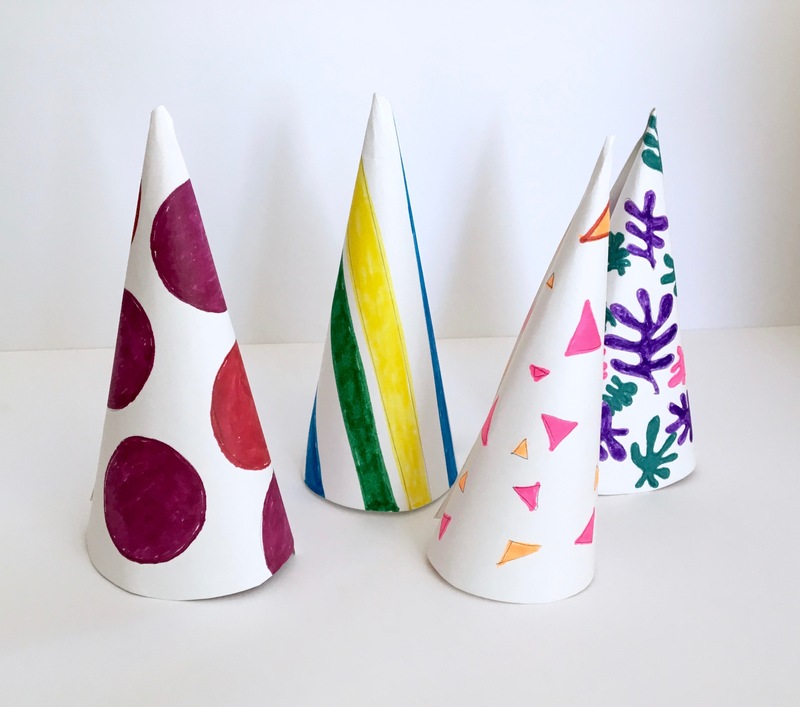 bob the artist + artsy beak craft + giveaway! 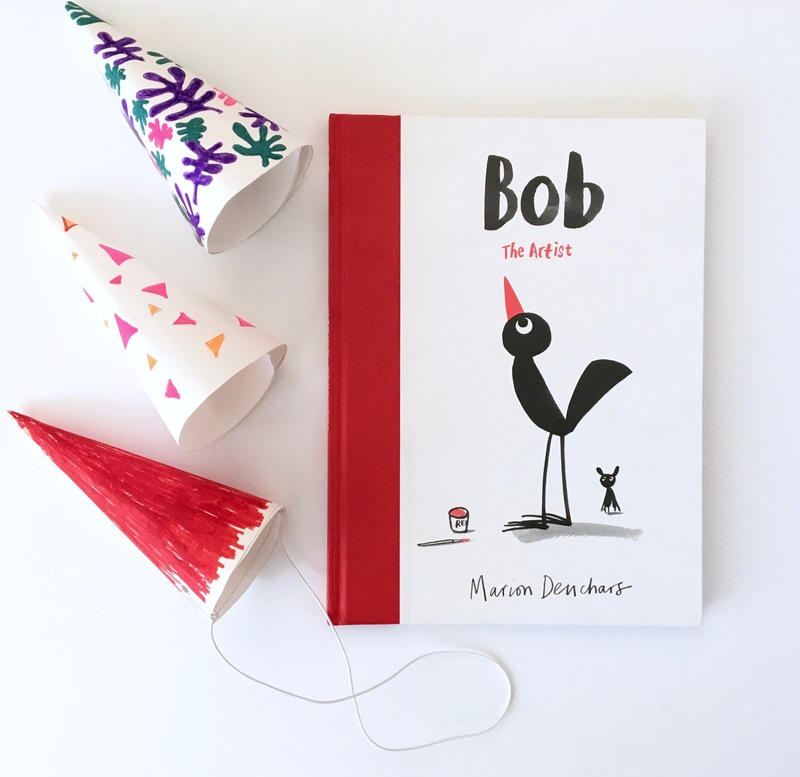 Bob the Artist by Marion Deuchars (2016). 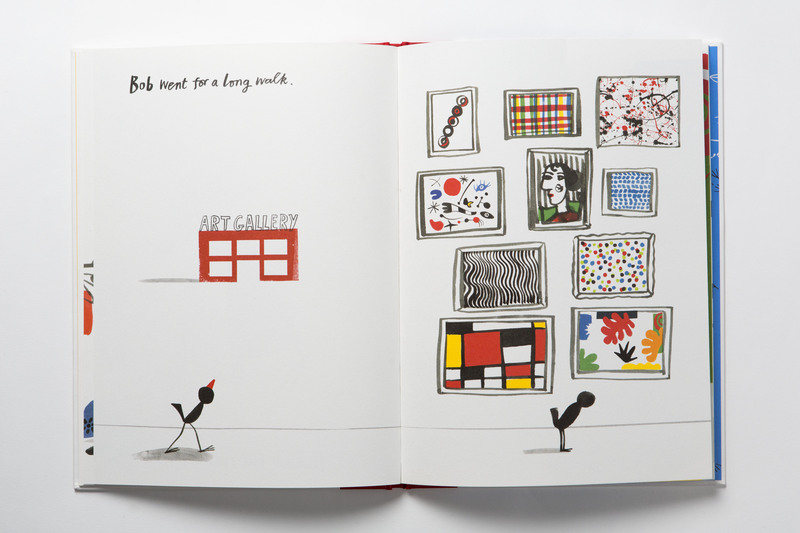 This picture book is about creativity. About how it can solve problems in unexpected ways. About how—and this is the most important thing—it can solve a problem you’re having with yourself. 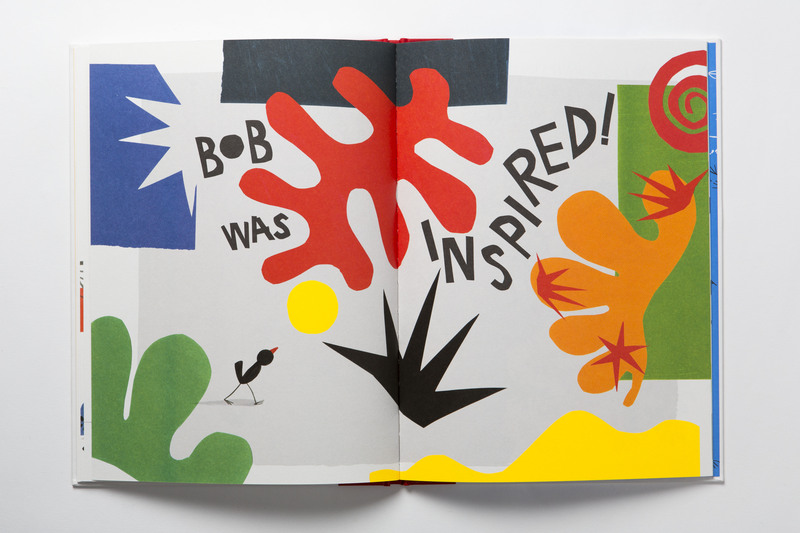 Filled with the signature creativity of its creator, this one’s fun and full of flair. So Bob does what he always does: goes for a walk. I like that Bob goes for a walk. It seems simple enough, but it does so much. It shows how walking or movement or taking a break—I’m a firm believer in this—is integral to figuring stuff out. His legs take him to an art museum, and there, he’s inspired (by Matisse! by Jackson Pollock!). Getting out of our own heads and experiencing something new often is inspiring, isn’t it? Bob brings his attention from his legs to his beak: something he can change. But not because he doesn’t like it. Because his beak can be his canvas. 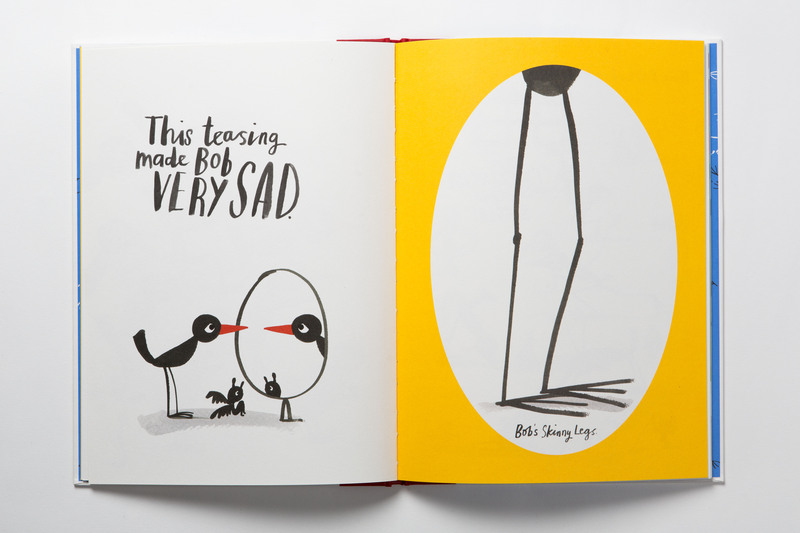 At the beginning, Bob is a bird with skinny legs. At the end, he is an artist. He discovers himself. And he discovers that a physical attribute others mock doesn’t make a lick of difference when he’s found what makes him really tick. And while that thing may be on the outside, it comes from the inside, from his own creativity. Big thanks to Laurence King Publishing for images! 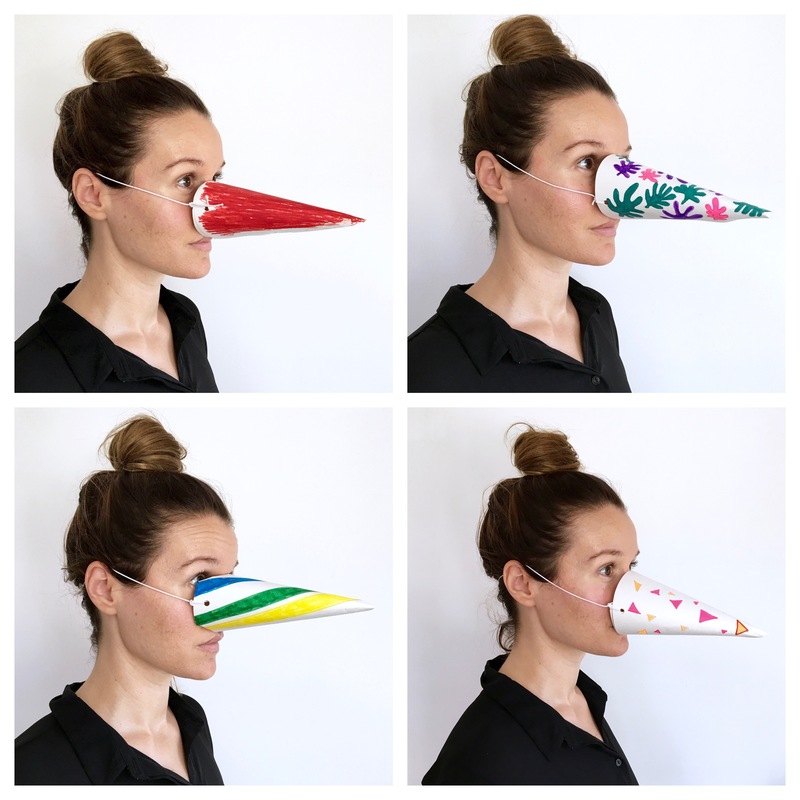 Let’s design our own artsy beaks the way Bob did! They can double as party hats! 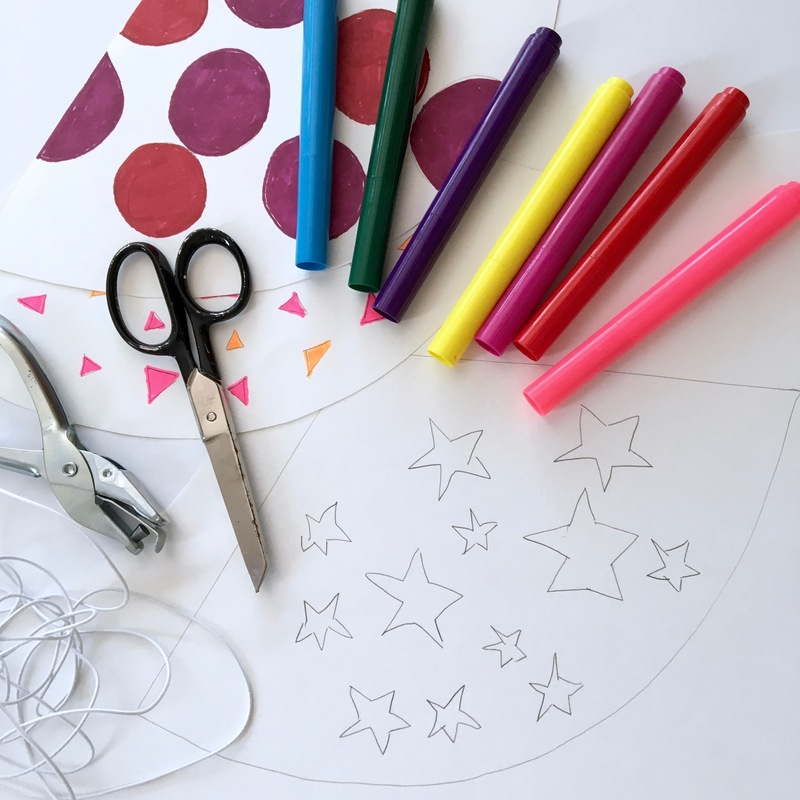 First, cut out a party hat shape in cardstock (I loosely followed this template). 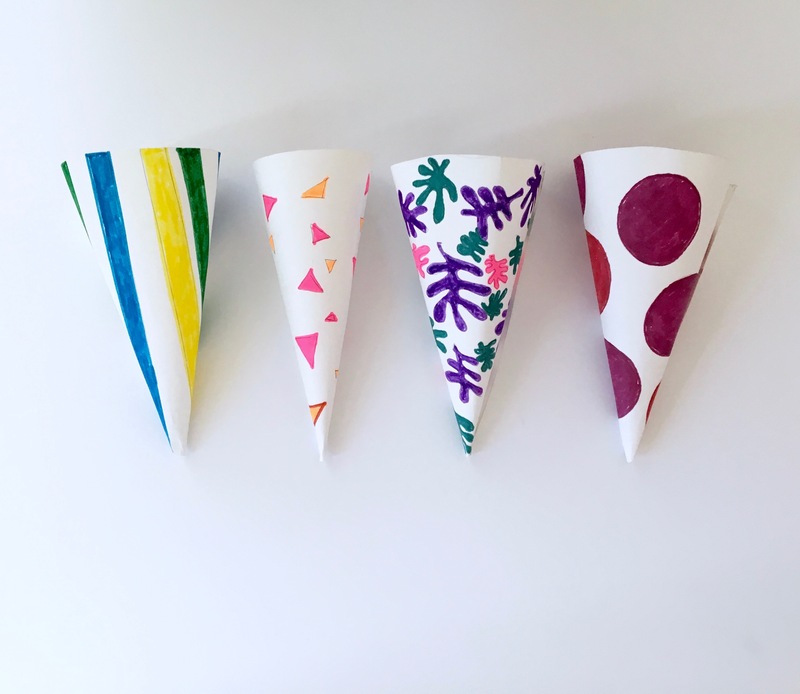 After you test that it will wind up like a cone, lay it flat again and get creating. Draw whatever design you like. 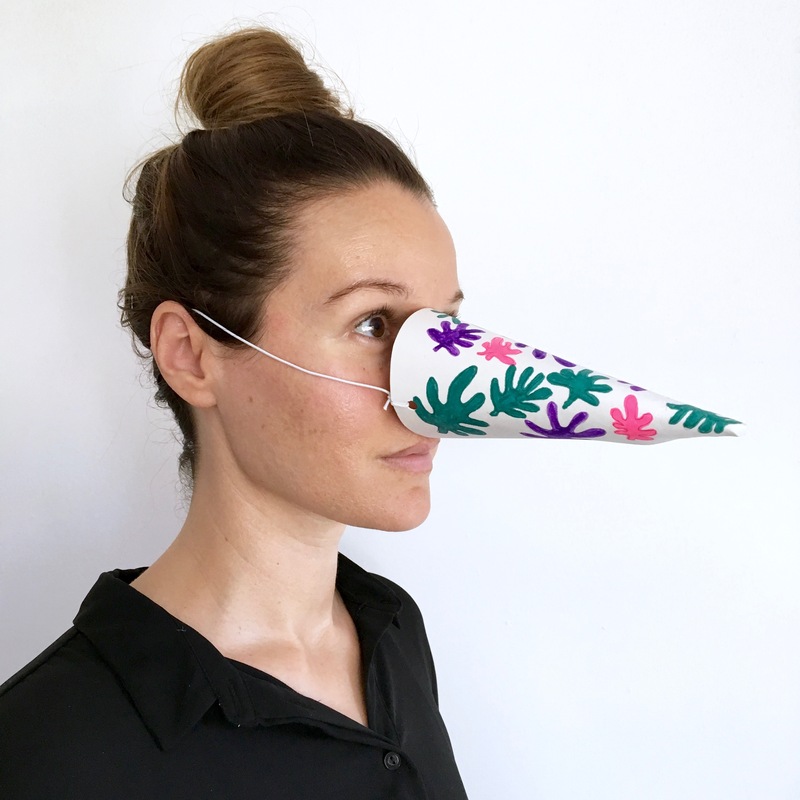 Then roll up the paper and tape it so the beak/hat sticks together. Then make a hole on each side and thread elastic through the holes. Tie the elastic through each hole and around it, making a knot. (Make sure the length of the elastic is just right to fit you or yours.) And, voila! I hope you feel inspired like Bob! 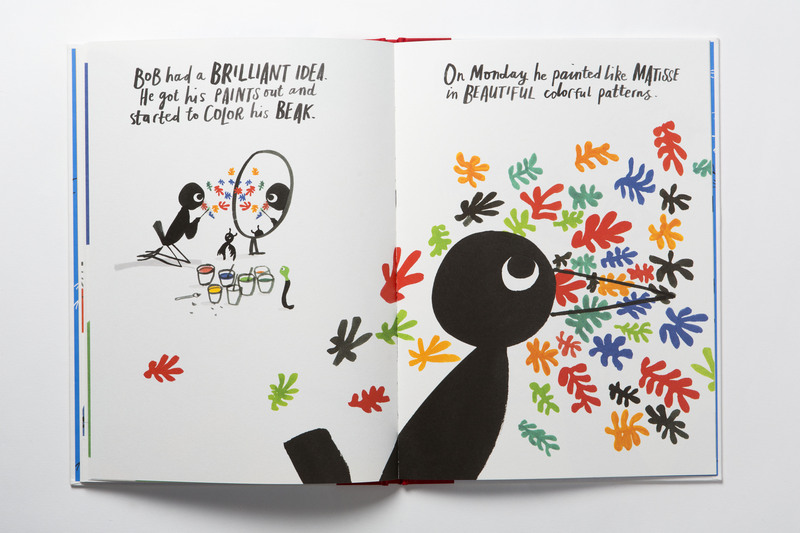 Finally, Laurence King is generously giving away three copies of the book + a Bob the Artist tote bag to three lucky winners! 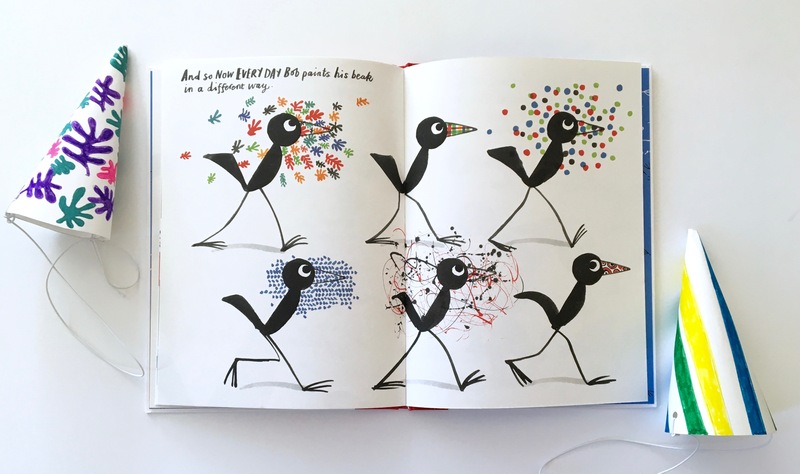 read the book, make an artsy beak all your own! 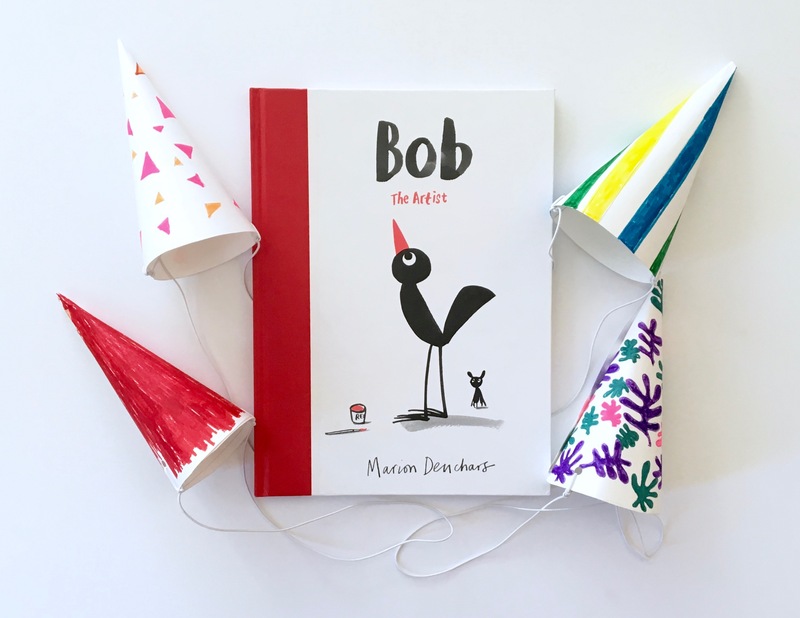 7 Responses to bob the artist + artsy beak craft + giveaway! I hadn’t heard of this title, Danielle! Thanks for bringing it to my attention. 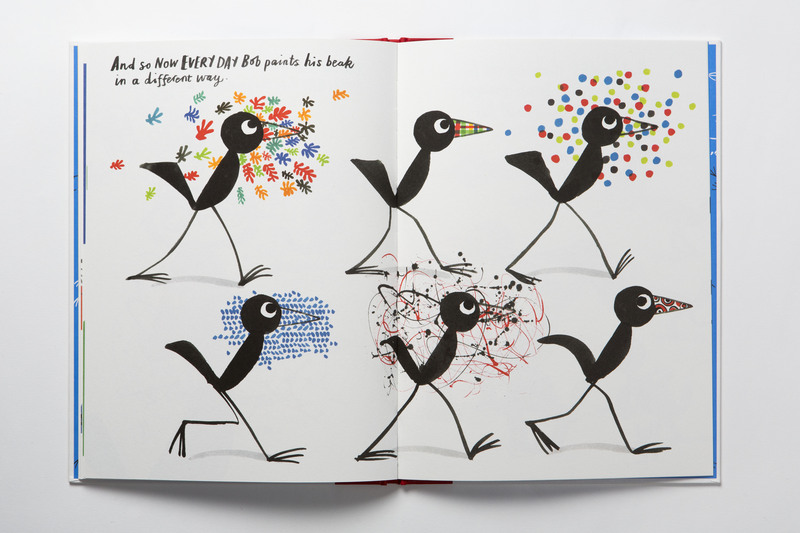 Some of those spread (and that beak) look very Matisse-ish :).